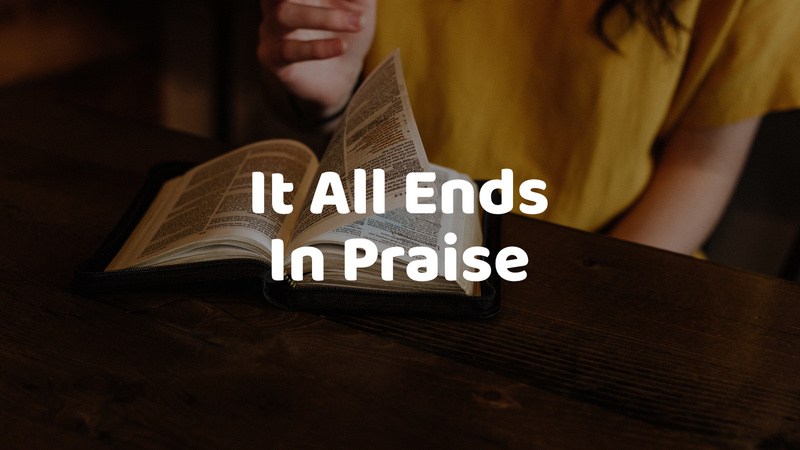 The Psalms are divided in to five groups, each one ending in resounding praise of God. Whatever difficulties we face, whatever mess we are in, however broken the world is right now, this is not the end of the story. May it end in praise.